With the new craze on mobile devices, we've launched a new mobile website which features directional information through the assistance of barcodes. In the future, we will see a closer connection between your mobile devices GPS and the website your navigating on. As such, I've created a new mobile site for Globe World Flavours. People will then scan the barcode with their mobile device such as a Blackberry or iPhone and be able to find directions to Globe from where ever they are. Since the barcodes will be setup at specific locations, it will actual directions from where they are to 132 Richmond St.
You can view this in action on the Globe mobile website or checkout the sample. I believe that in a few years we will begin to see barcodes on everything. 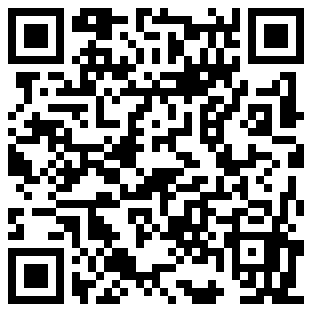 Lots of items will be scan-able via a mobile device. This will allow more up to date information to be processed. In the future when you drive up to a car dealership, you will be able to scan a barcode on the car to find out specific information on that exact car as well as other basic information about the vehicle. There are already shipping companies and car lots interested in using the technology. The Halifax Metro had barcodes inside their paper which allows the reader to bringup more information on the story. There is even a QR barcode on my soap bottle! 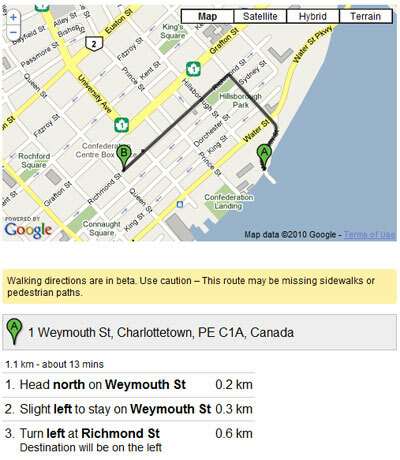 At the current time not all Blackberry's will run the Google Maps API therefore a static image of a location map will be displayed. I'm sure in the future Blackberry will have a fix for this.